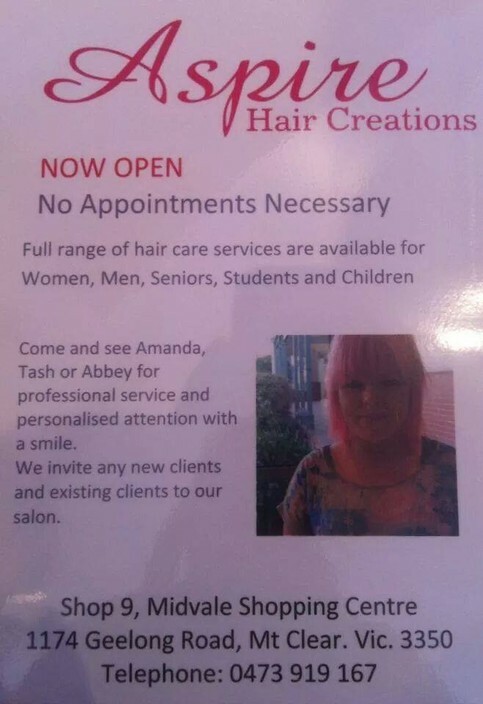 We are a 'No Appointment Necessary' salon, opened Monday-Saturday. We cater to all hair dressing needs; men's, women's, seniors, students and children; including cuts, colors, and more. Appointments can also be made anytime, (Monday's are Appointment Only) and can do any late nights by prior arrangement. We also offer a range of beauty services; including waxing, eyelash and eyebrow tinting and spray tanning.